Insurance is important in many facets of life, but far too many people forgo insurance when it comes to moving. The fact is, while All Around Moving & Storage offers superior residential movers, commercial movers, storage services, warehousing, and more. Accidents can and do happen, and when they do, it pays to have moving insurance on your items. At All Around Moving & Storage, we offer our customers a number of moving insurance options that abide by the industry-standard system of valuation. Our relocation coverage solutions can protect your belongings in the event that a vehicle accident occurs, inclement weather causes damage, and more. Our goal is to provide our customers with enough relocation coverage options so that they can find the right ones for their needs and have peace of mind in knowing that their items will be safe, even if something unexpected occurs. Our standard moving insurance options are designed to provide a payment for any damaged or lost items based upon the weight of each item. This means that you may not receive the full or current market value of your items if damage or loss occurs. In most cases, we recommend this option for individuals and families who are moving standard household items. We also offer advanced moving insurance protection that provides for the full replacement value being paid if an item is lost or damaged. This advanced coverage is often a better choice if you are moving priceless items, antiques, collectibles, and items that are irreplaceable. We also offer moving truck insurance to better cover your possessions while on the road. If you do find that you need to file a moving insurance claim with All Around Moving & Storage, you can call our service team at 734-941-2280, or you can simply fill out our moving insurance claim form. We will do everything possible to make the claims process simple and efficient, meaning you can get your concerns resolved quickly. As with all of our moving services, we guarantee your satisfaction with our moving insurance process, and if you find that you aren’t completely happy, we’ll work with you personally to make things right. 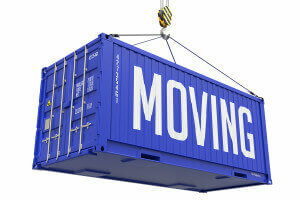 For more information about our moving insurance options, contact All Around Moving & Storage by calling 734-941-2280.